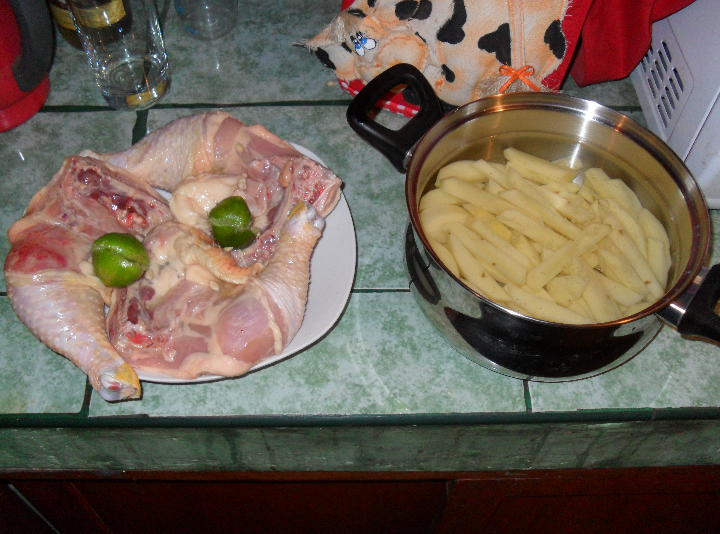 When making papi’s famous chicken and french fries – Peruvian style of course – which ingredient is most likely found underneath the living room couch? While you ponder on that let me tell you I like my food simple. I’ve had a chance to eat fine cuisine at some of the best restaurants in different places around the world and I do enjoy that occasionally, but for the most part simple is better in my humble kitchen. One of the things I don’t like about Europe is that many Europeans seem to try and do fancy food all the time. You get a really pretty-looking plate with some unidentifiable food that leaves you $50 poorer but still hungry. Not me, I’ll take a simple plate of good food over fancy fish eggs any day. Two guys are at a restaurant and order steak and french fries. The waiter brings 2 plates of steak and fries. One guy asks his buddy: “Which plate do you want?” His buddy takes the plate with the biggest piece of steak. “OK”, says his buddy. “So you choose”. 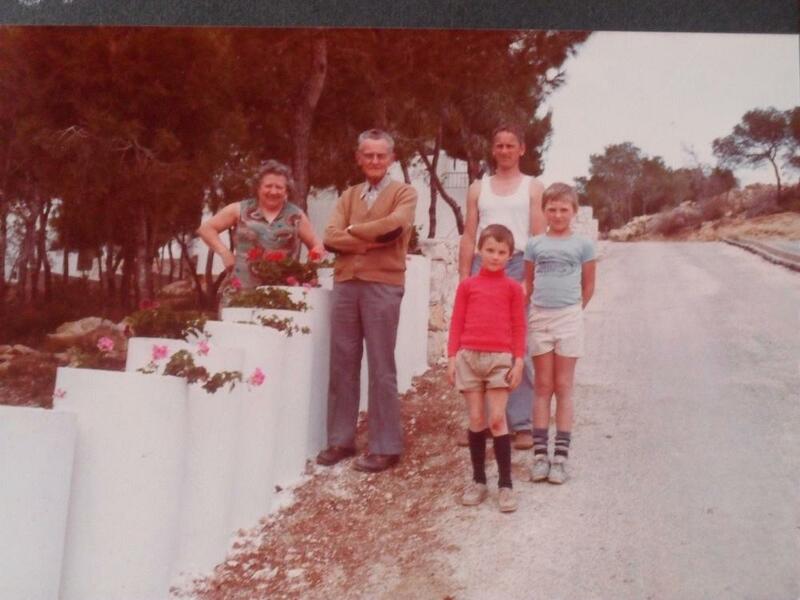 I was only 7 or so at the time and thought that was the funniest story ever. Spices: salt, pepper and cumin al gusto. Last but not least: look under the living room couch for Peruvian lemons! Soak chicken liberally in Peruvian lemon juice. OK, maybe in your house the Peruvian lemons aren’t under the couch but properly stored in the kitchen somewhere. In our house nothing has been properly stored since Pitufiloquita has gotten big enough to reach practically anything, even if she needs to drag a chair around to reach what she wants to get at. She likes to take our Peruvian lemons to her little play-kitchen and inevitably all my Peruvian lemons end up on the ground and under the living room couch. That was easy, no? As soon as I said Peruvian food you knew there would be Peruvian lemons involved somewhere. Practically all Peruvian food gets lemon juice: salads, meat, fish, etc. Of course lemon juice is a main ingredient in both the best known Peruvian food (ceviche) and best known Peruvian drink (Pisco Sour), but you find Peruvian lemon juice in practically any Peruvian food. There is even a supposed Peruvian hangover cure based on the lemon juice. I guess I should clarify the thing I’m calling “Peruvian lemon” here is closest to a “lime” or “Key lime” in US stores, it’s the little green one, not the really sour yellow one. Also as a little disclaimer, I’m by no means a Peruvian food expert. In my kitchen everything is al gusto and nothing is ever cooked the exact same way twice. Every day is a new adventure. 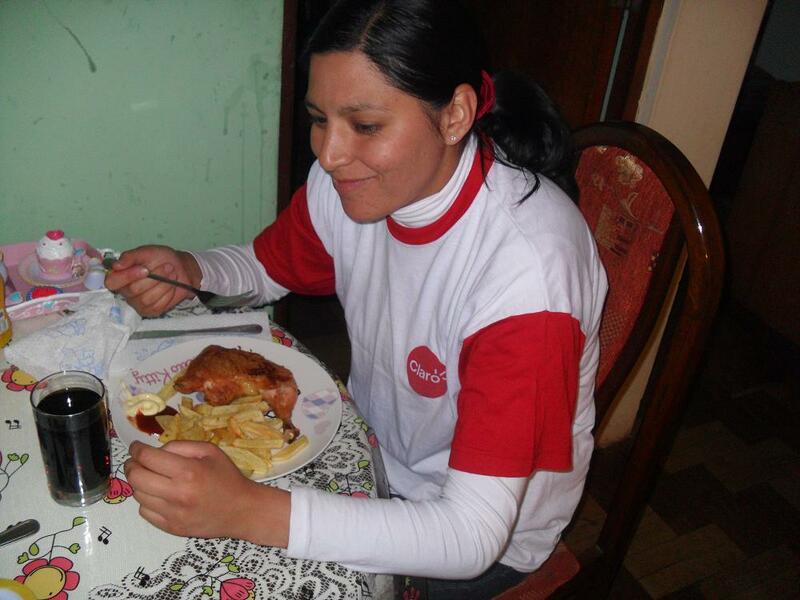 If you’re looking for a blog that is really good about Peruvian food, check out Kelly. 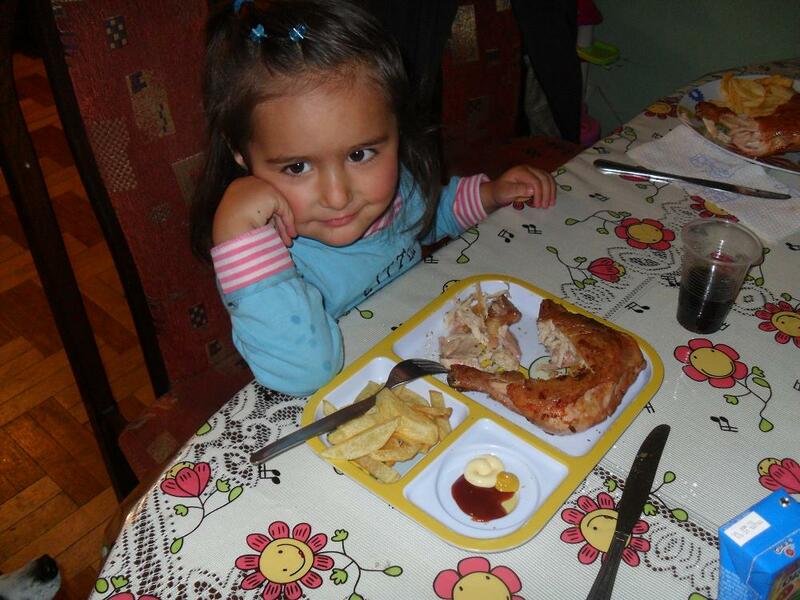 Pitufiloquita enjoying chicken and french fries - Peruvian style! 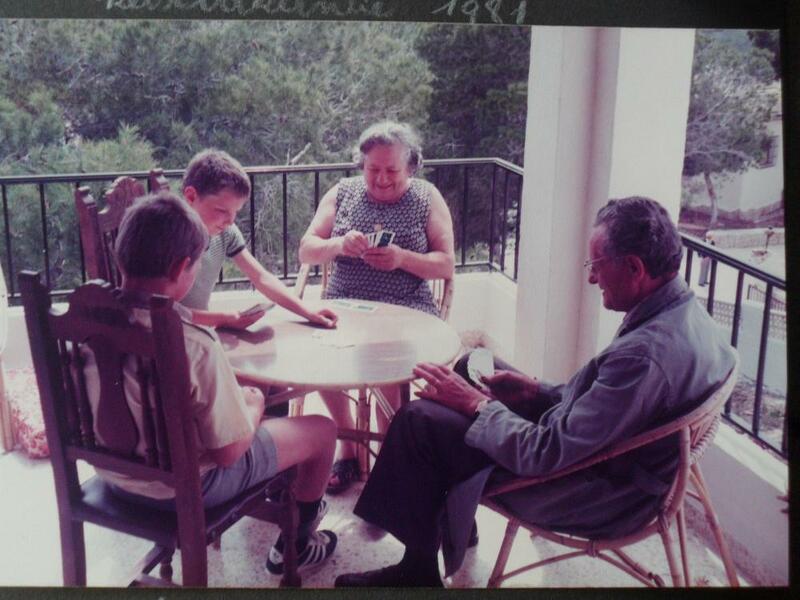 Playing cards with my grandparents on vacation in Spain, many moons ago. This entry was tagged chicken, lemon, Peruvian food. Bookmark the permalink. Sounds really good. By the way do you know how much is cost approx to walk the inca trail this winter(mid June 2012). And do you have a company to recommend.